PARIS--(BUSINESS WIRE)--Dental Monitoring (“DM”), provider of the premier suite of Artificial Intelligence solutions in dentistry and orthodontics, has closed a funding round of €45 million, backed by leading growth investor Vitruvian Partners, to accelerate its global expansion. 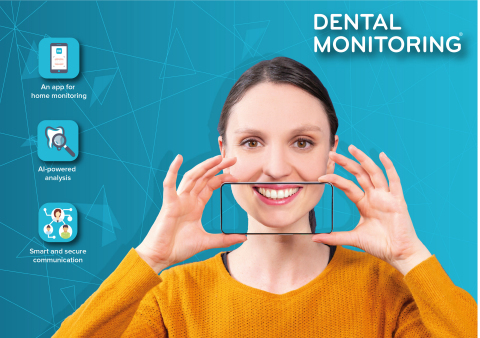 Founded in France in 2015, Dental Monitoring was one of the first companies to recognise how AI could transform the dental profession, and to build a highly sophisticated AI platform protected by over 80 patents. In a world where patients of all ages are expecting technology to change their experience for the better, Dental Monitoring made it its mission to help dental professionals offer better care and more convenience, with tools patients are excited to use: 73% of Millennials would like their doctor to give them an app to manage their care1 and 70% of Baby Boomers are excited about the potential of AI to allow doctors to focus on their health2. 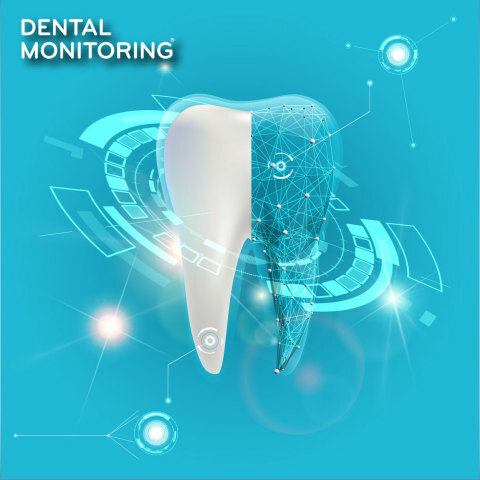 All Dental Monitoring solutions are app or cloud-based, and allow dental professionals to assess and monitor dental conditions, including orthodontics, in-practice or remotely. Their aim is to increase the level of care through the use of sophisticated assessment tools, to augment patient engagement through facilitated communication, and to increase both patient convenience and practice efficiency. Dental Monitoring will use the funds to accelerate its development in the US and Asia and to strengthen its offering for the global market of general dentists with sophisticated AI-driven solutions. a solution to generate photo realistic simulations of the patient’s smile during and after treatment. Founded in 2015 by Philippe Salah, Dental Monitoring is the first AI-based company to target dental professionals’ needs. The DM software suite is designed to address the needs of dental professionals all along the patient journey: before treatment to increase the patient’s engagement, during treatment to increase the quality of care provided by the doctor, and after treatment to ensure the stability of the treatment outcome. The company currently operates in Europe, the United States and Asia. It employs a team of about 150 employees across its 4 offices located in Paris, Austin and, Hong Kong and Sydney. Vitruvian is an independent growth capital firm which specializes in ‘dynamic situations’ - investments in companies undergoing significant growth and change typically driven by technology. Vitruvian helps portfolio companies scale their operations by providing an operational support system and assistance with strategic initiatives including acquisitions. Notable investments to date include global market leaders in their field such as Just Eat, Skyscanner as well as life science and AI innovators such as CRF Health, ADA Health, Darktrace and others. The €2.4bn Vitruvian Investment Partnership III (“VIP III”) is among the largest pools of capital in Europe supporting innovative and higher growth companies. Vitruvian has backed 30 companies in its first two funds and has assets under management of approximately €5 billion. Vitruvian has offices in London, Munich, Stockholm, Luxembourg, San Francisco and Shanghai. Dental Monitoring partners with Vitruvian to accelerate global expansion of its innovative AI solutions.